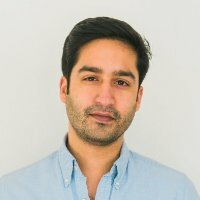 Vikas Raj is the Director of Investments at Venture Lab, a seed-stage financial inclusion fund based in DC. At Venture Lab, Vikas leads the group’s work on sourcing, evaluating and structuring investments globally, as well as sitting on the Boards of portfolio companies and helping to drive strategic direction. He is currently a Board member or observer of Aye Finance, Artoo, Varthana, Umati Capital, SMECorner, CreditMantri and Lok Capital. Prior to joining Accion, Vikas worked at Evercore Partners’ Mergers and Acquisitions team, where he advised on multiple corporate transactions with aggregate value of over $45 billion. Previously, Vikas spent two years focused on the Microfinance Sector, primarily in India, at Ujjivan and Catalyst Microfinance Investors (CMI). Vikas has a bachelor’s degree in Philosophy, Politics and Economics from the University of Pennsylvania and an MBA from Columbia University.